In our previous discussion, we discussed what are different ways to implement security in ASP.Net web-api. Before you proceed, I would recommend to go through that article on the link below first, as that will act as a kind of base for where and how we will implement the security. In this discussion, we will be implementing basic authentication in web-api at the host level. 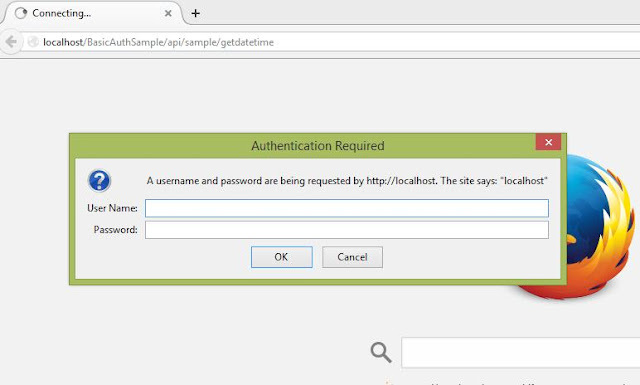 IIS implements Basic authentication, which is part of the HTTP 1.0 specification, using Windows user accounts. When using Basic authentication, the browser prompts the user for a user name and password. This information is then transmitted across HTTP where it is encoded using Base64 encoding. Although most Web servers, proxy servers, and Web browsers support Basic authentication, it is inherently insecure. Because it is easy to decode Base64 encoded data, Basic authentication is essentially sending the password as plain text. As per the above description, there is one limitation to the use of IIS as the host and implementing basic authentication at IIS level. 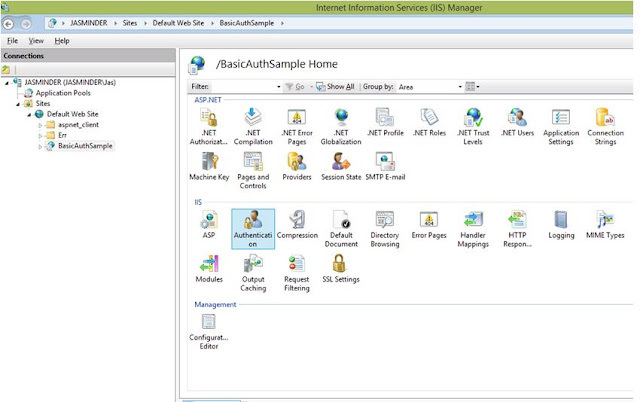 This means, IIS uses Windows credentials to authenticate the users. 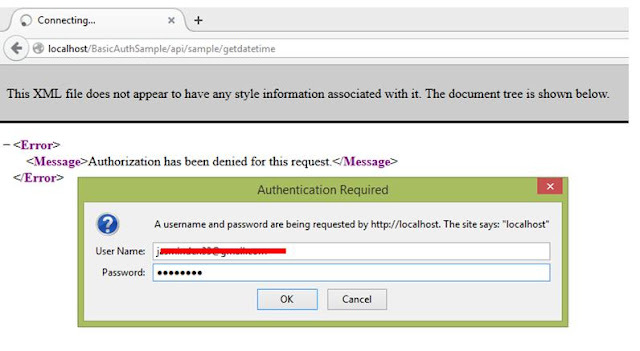 So this implementation is suitable for any intranet applications, where the users have to access the application within the domain. 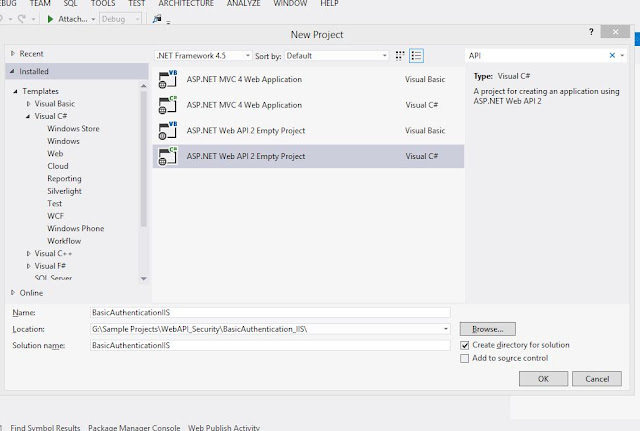 To start with, we will create a new empty project using Empty ASP.Net Web -API template project. Let's name it as BasicAuthenticationIIS. 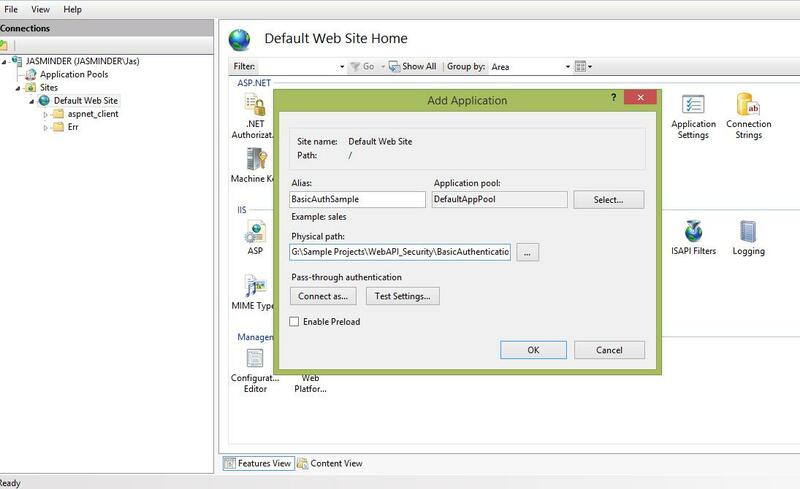 Next, we simply host the application in IIS. 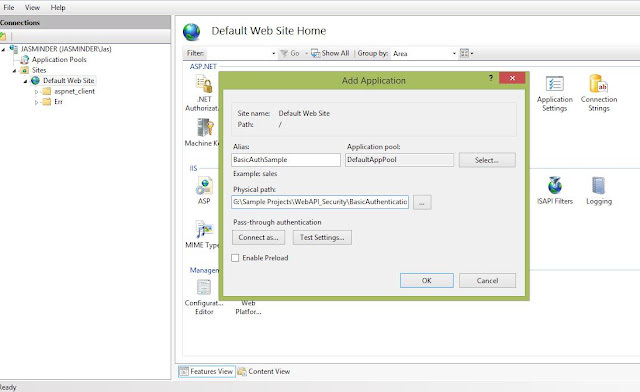 So open IIS, select " Default Web Site", right click and select the option "Add Application". Provide an Alias name to it and provide the physical path to the application directory. 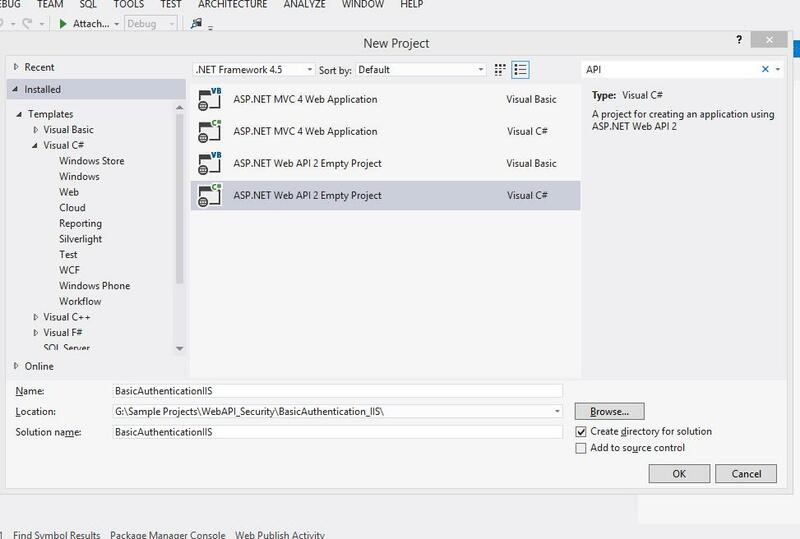 Browse the application and enter the path of the webapi and see the results. So this was without any security. Anyone who is not authenticated, can access the method. Let's add the authentication to the api. So we start by adding the settings in the config file. So we add the authentication mode to the web.config as Windows. Build the application. 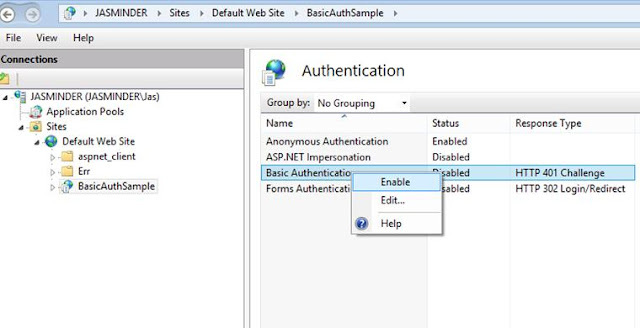 Next, go to IIS and select the option "Authentication". Within this, select the Basic Authentication option, right click and Enable it. That's it. Restart the application in IIS and browse the application. It asks for credentials. Cancel it and it says Un-Authorized. Let's refresh and enter windows account credentials. Press Ok and see the results. So this is how we can implement the host level (i.e. 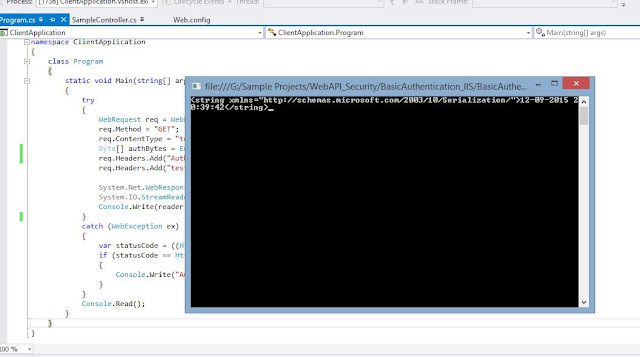 IIS), basic authentication in a web-api. Hope you enjoyed reading it. Happy coding...!! !